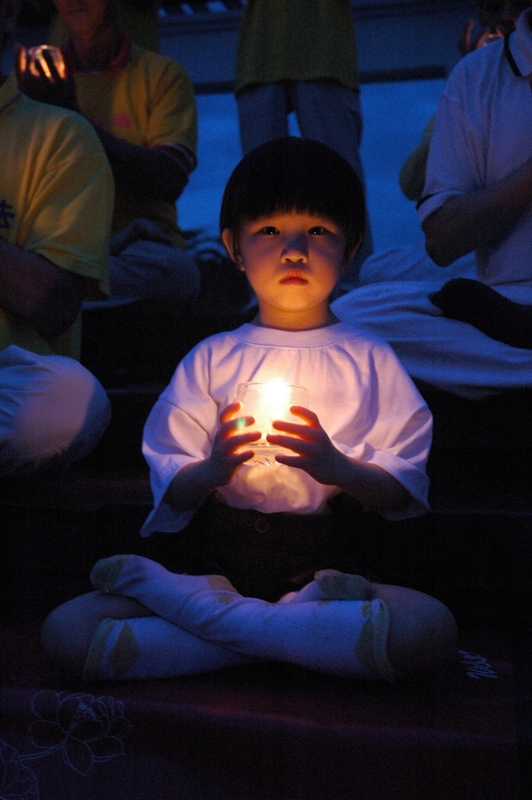 (Clearwisdom.net) The Chinese Communist Party (CCP) launched the persecution of Falun Gong on July 20, 1999, eleven years ago. 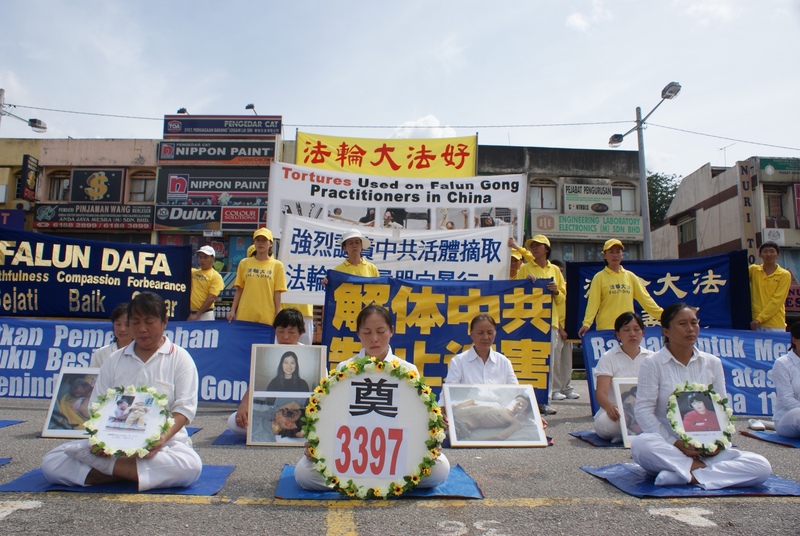 On July 18, 2010, Falun Gong practitioners from Malaysia held a rally in memory of the fellow practitioners who have been tortured to death in China, and calling for the end to the persecution. The rally started at 11:00 a.m. in Sri Gombak. 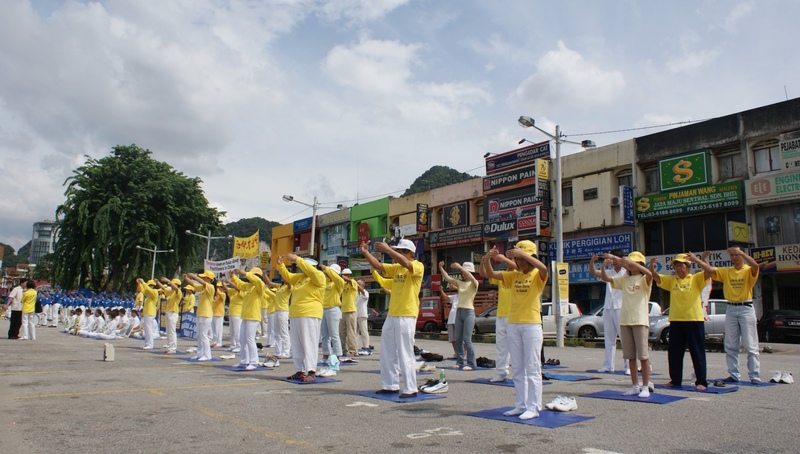 Practitioners introduced Falun Gong and exposed the facts of the persecution. They told the public that 3397 death cases during the persecution have been confirmed and there is evidence that the CCP harvests organs from practitioners for profit. Practitioners also talked about the history of peaceful resistance against the persecution for the last eleven years, and called upon the Malaysian people and government to help stop the persecution. Many people were shocked by the facts of the brutal persecution and expressed their support. 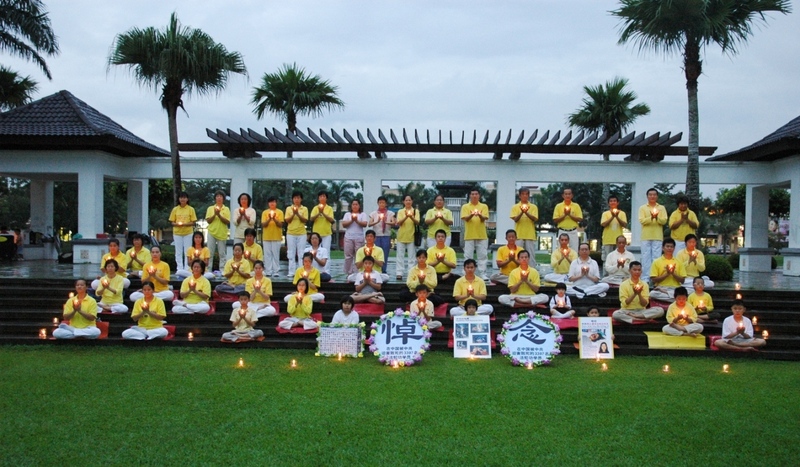 Practitioners held a candlelight vigil in Taman Setia Indah later that day, in memory of the fellow practitioners who were tortured to death during the persecution.